The Culinary Travel Guide is here to help busy prime-time women like you find the best local food when you travel. As a Culinary Travel Professional (CCTP), I’ve had amazing food experiences all over the world. Now I’m on a mission to help you do the same. My self-guided food walks and mini travel guides are designed to help you experience the highlights of a local cuisine in a short period of time – whether you’re on a stopover, layover, pre or post cruise extension, shore excursion, or weekend getaway. I also share recipes collected on my travels, along with my best travel tips, inspiring stories, and gorgeous galleries. Whether you have a few hours on foot or a few days, I’m here to help you experience a new destination through the universal language of food. I’ll show you ways to satiate your craving for new experiences, learn about the local gastronomy, satisfy your curiosity about the world, and just have fun. And, of course, I’ll also show you where to find the best local food and drinks. Because food is a big part of the adventure! A delicious morning walk through Rome’s historic center where you’ll see some of the city’s most atmospheric sites, stopping along the way for espresso, prosciutto, gelato, and more! A delicious afternoon walk through Rome’s historic center where you’ll see some of the city’s most atmospheric sites, stopping along the way for pizza al taglio, tiramisu, an aperitivo, and more! A delicious anytime walk through the City Center of Dublin where you’ll indulge in some of the city’s sweetest treats. With my collection of recipes from around the world. Leave your passport at home with my delicious collection of world cuisine recipes. I collect international recipes like some people collect shot glasses or spoons. They are, hands-down, my favorite souvenir. Now I’m sharing them with you. So get inspired by south-of-the-border favorites like octopus tacos or traditional potato pancakes from a famous Irish restaurant in the heart of Temple Bar. Travel the world without ever leaving your kitchen! 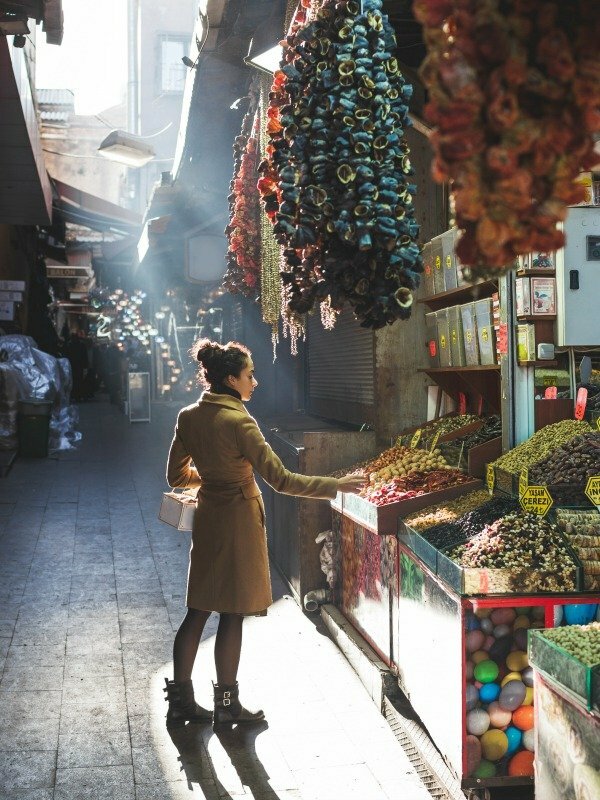 Plan your next trip with of-the-moment worldwide travel intel for food-focused travelers. 4 dishes to eat local because even the best ethnic restaurant in your neighborhood can’t compare with enjoying your favorite dish in the country it calls home. From the bustling sidewalk cafes to the colorfully-dressed, friendly locals, to the twinkling light displays, Paris in the winter is magic. Predictions for the hottest culinary trends coming to kitchens and menus near you! Expect to see cannabis cocktails, frankenmeat, robots, and more! The Adler Thermae Toscana is the Bagno Vignoni hotel of your dreams…especially if your dreams include gloriously delicious Tuscan cuisine and bucket-list-worthy food experiences. If you’re planning to explore the local food scene in Barcelona, what to eat may be top of mind. Check out our top picks for unmissable tapas and sweets. In a hurry and wondering where to eat? We’ve got you covered with these 7 terrific fast food Barcelona restaurants even the locals love!